With 60% of the world now living in water stressed areas, WaterAid report reveals nations with lowest access to water. 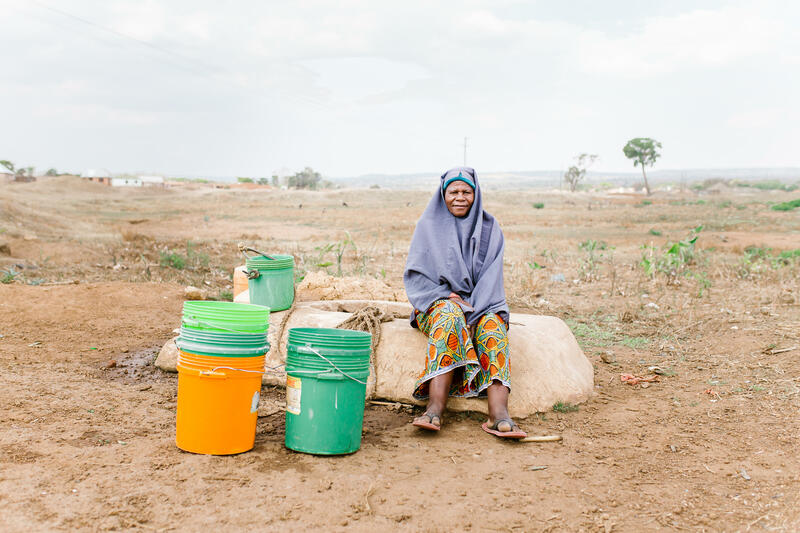 With Cape Town working to avert its ‘Day Zero’, when water taps are threatened with shutoff, a new WaterAid report reveals millions of others around the world already face these conditions daily. State of the World's Water 2018: The Water Gap reveals Uganda, Niger, Mozambique, India and Pakistan are among the countries where the highest percentage or largest number of people cannot get clean water within a half-hour round trip. The report, released to mark World Water Day on 22 March, also includes new data on the often-sizeable gap between rich and poor when it comes to access to water. Today 844 million people globally do not have clean water, a number which has risen from last year, This is in part because those who are not able to fetch water within a half hour round trip no longer count as having access to water, adding to existing pressures from urbanisation, population growth, shock weather events and poor financing and prioritisation of water supply. The report comes as nations prepare for a July 2018 review of the United Nations’ Sustainable Development Goal 6, to deliver water and sanitation to everyone, everywhere by 2030. Recognition that the UN Global Goals are everyone’s responsibility to deliver, to ensure no one is left behind. Everyone is accountable if they fail. Responsible environmental management, including regulating the use of water in agriculture and industry, to protect and preserve enough clean water for communities’ basic needs. Include access to water, sanitation and hygiene as central to health, education, nutrition and gender equality. Without water, none of the other UN Global Goals can be met. Urgent action on the ground, at regional, national and global scale. Access to safe drinking water is a UN-recognized human right: politicians need to prioritize it and fund it, civil society must help all people speak out for their rights, and those working in water, sanitation and hygiene must support service providers and government to respond. Mobilizing resources from taxes, tariffs and transfers, and increasing the amount and proportion of aid for water, sanitation and hygiene, to close the gaps in financing. This also means supporting institutions to ensure they are accountable and well-governed, so that money is well-spent, and promoting pro-poor policies that ensure access to water for everyone.